Kristin Chenoweth wore this ring when announcing the Tony nominations. 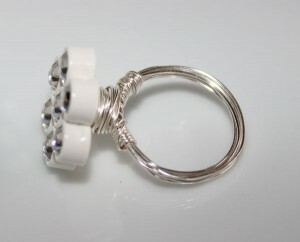 White and Clear Swarovski button hand sewn onto a wire wrapped silver ring. All sizes available. 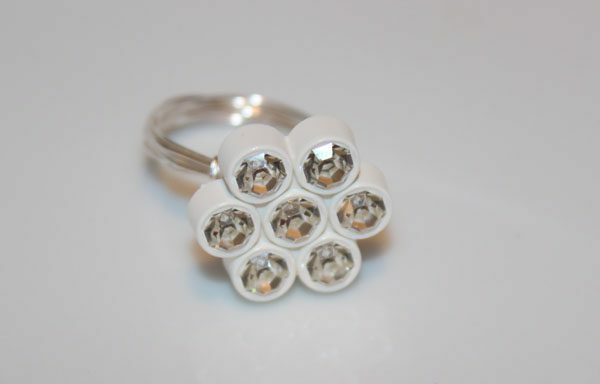 Sterling Silver available upon request. Please email for price.